Almost as soon as the first acceptance to college came in, so did the idea of actually having to pay for their tuition and room and board. When they were small it was something we always envisioned we would do and planned accordingly. We even invested in Florida Prepaid for all three of our kids and encouraged them to get as much as they could from Bright Futures Scholarships. Regardless of that, a little help is always appreciated and, in some cases, far more necessary. There are so many scholarships available these days; the question remains in finding the right ones that they may qualify for. Some scholarships are quite competitive, some last for four years, and some are downright silly, but pay for something. All make those bills for the next four (or more) years more bearable. Some scholarships require essays and believe it or not, those are the ones most avoided; therefore have the least amount of people applying. Don’t steer away from these; seek help with the essay instead. It is also recommended to apply for any scholarships as early as possible and be sure to have your FAFSA form completed beforehand. There are many options for free scholarship search engines as well as campus resources. Be cautious of scams and don’t ever pay for services that say they will find them for you or offer a money-back guarantee and never provide personal information such as bank account numbers, and credit cards numbers. Consider creating a separate email address just to be used for scholarships. Some scholarship websites sell your email information to third party companies. This will allow you to keep your personal email address and your .edu email address private. The best place to start is probably on some of following websites: FastWeb and NextStudent.com (both are excellent free search engines that are updated daily), GoodCall, BestColleges.com, Cappex.com, CollegeAnswer.com, Scholarships.com, Scholarship Experts, CollegeScholarship.org, and ScholarshipGuidance.com. Also, check with the city that you live in as many municipalities have scholarship money available. More specialized searches targeted toward specific subjects, financial situations or minorities can be done through websites like: CollegeWhale.com (which will walk you through the FAFSA, student loans and financial aid, as well as match your student to the best scholarships for them), AccreditedSchoolsOnline.org (for minority students), NewsFund.org (journalism scholarships funded by Dow Jones Newspaper Fund), LatinoCollegeDollars.organd Hillel.org. The college advisor at our high school used to send out a weekly letter with a list of new scholarships listing the name of the program, eligibility, application availability and deadline, and the number and amount of awards given. Some are more local; others were open to the public. See if your high school offers that. Even a small scholarship that will pay for your student’s textbooks will be appreciated. UCF has a lot of scholarships you can apply for. Check the college that you are under and see what is listed. They’re very easy to apply for as well; you only need a few things including a cover letter, reference letter, and a transcript of your grades. Click here to see the list of UCF scholarships. Achieva Credit Union Scholarship – (Scholarships of varying amounts ranging from $1,000 to $2,500 will be awarded). Those who are an Achieva Credit Union member, in good standing, and a graduating high school senior or currently enrolled in a college meet the requirements. The application is available on their website. The deadline is in usually at the end of March. High school seniors applying to college should watch for the 2019 round. American Legion Scholarship – (Number and amount vary) There are multiple scholarships available to qualifying students. Criteria vary based on the individual scholarships. Students should check this website for specific deadlines for each: To date, approximately 2,069 applicants have been awarded more than $5.5 million. 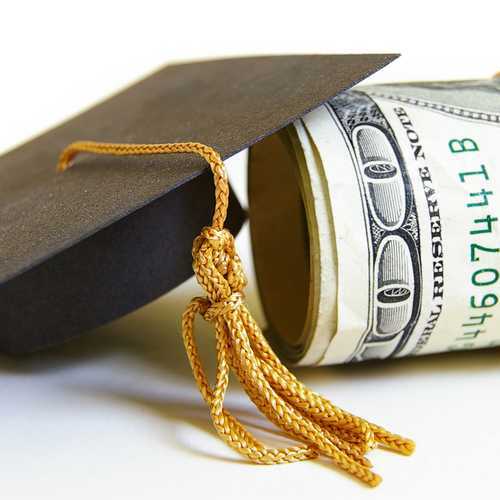 Ayo and Iken Children of Divorce Scholarship (Two awards in the amount of $1000) – High school seniors that live in Florida in a household separated by a divorce fit the criteria. The application is available online and should not be sent before April 1. Essay required. Florida Engineering Foundation, Inc. Scholarship – This scholarship is open to Florida high school graduates with at least a 3.5 GPA who plan to enroll in an engineering program accredited by the Engineering Accreditation Commission of the Accreditation Board for Engineering and Technology. There are a number of scholarships available on their website. Florida State Golf Association Scholarship – (Five awards totaling $10,000) This scholarship is open to Florida residents who are high school seniors with a minimum GPA of 3.0, accepted by a university and demonstrate a financial need. (They have to have competed in a minimum of 3 FSGA or FJT tournaments to be eligible. The application is on their website. Suncoast Communities Blood Bank Scholarship – Open to high school students who are of eligible age to donate blood by supporting their campus blood drives. This scholarship is available to graduating high school students for all post-secondary education. Read the requirements carefully. Applications are available online. TeamUP Volunteer and Partnership Council – This is a nation-wide competition. It is open to high school seniors planning careers of service to the United States local, state, or federal government. The award ranges from $500 to $5000 vary each year. The application is available online, the deadline is January 15, 2019. Essay required. SAE Engineering Scholarship – This is open to high school seniors that plan to pursue an engineering or related science degree. Students can apply on this website. Golden Door Scholars are scholarships for DACA students or undocumented students. (DACA stands for Deferred Action for Childhood Arrivals). Students may be high school seniors or recent graduates, but preference will be given to high school graduates from states that require undocumented students to pay out-of-state tuition. Also, see TheDream.US for other similar scholarships of this nature. Opens November 1st. Hispanic Scholarship Fund – Is for students of Hispanic heritage to assure they go to college or graduate school. STEM majors are emphasized. Awards are based on merit; amounts range from $500 to $5,000, based on relative need. Presently closed; watch for new openings and deadlines. For (many) additional scholarship information at UCF, click here. Deadlines vary; the first in mid-July. UCF Panhellenic has a scholarship contest once a semester for a new member and an older sister. Click here for application and additional information. The scholarship application will reopen in September. The Sonn Law Group Scholarship. It is based on community involvement and open to high school seniors. The winner will receive $1500 to use toward tuition and books. re lucky enough to land a scholarship (or a few) it is highly recommended that they write a thank you note to the donor.